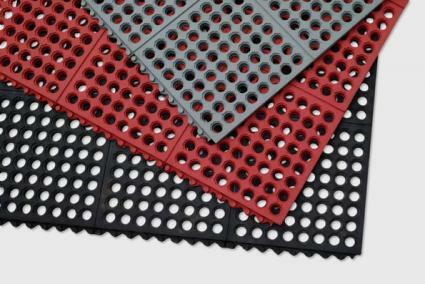 The Snap Tight Ring Mat has the perfect balance of heavy-duty rubber construction, design, and anti-fatigue properties. It is a premium mat, perfect for most industrial, kitchen and almost any workplace.The built-in, interlocking system can be connected to extend length/width, allowing for a continuous surface. 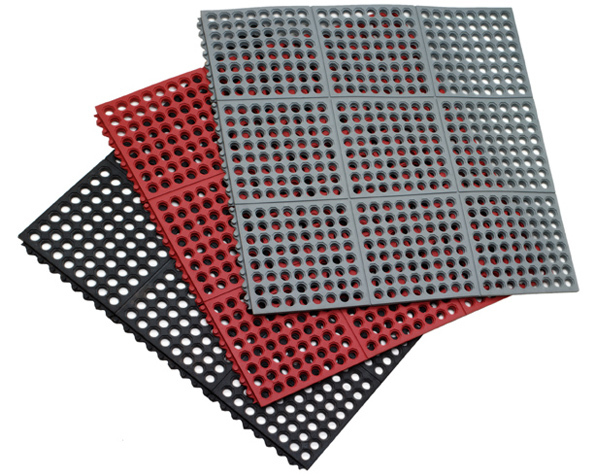 Available in solid or open-mesh design, connectors and beveled edges can be added for almost any workspace. 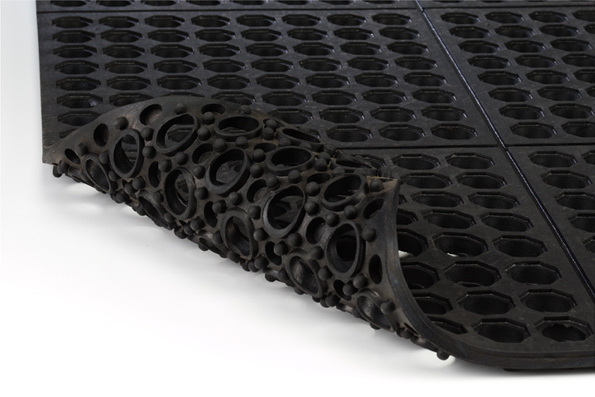 The anti-slip texture, along with drainage holes make for a safe and dry workplace. 36" x 36" x 5/8" [W x L x H]20 lbs. 36" x 60" x 5/8" [W x L x H]31 lbs.